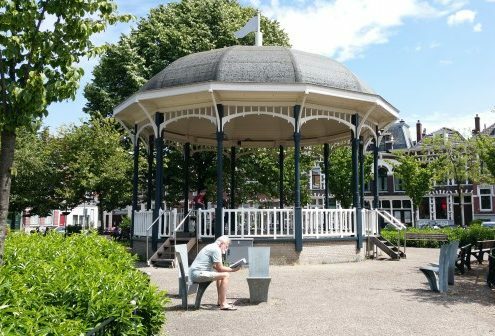 This is a great tour to discover one of the few prewar neighbourhoods of Rotterdam. 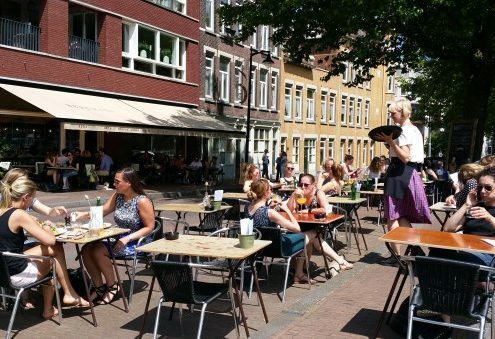 These days the Oude Noorden is popular thanks to the many original bistros, (coffee)bars, shops and boutiques that are not discovered by the large public. Our local guide will show you the old canals (in Rotterdam: ‘singels’) and squares, but also the best shops and the restaurants of this fascinating and colourful neighbourhood. Learn also more about the actual project the Tuin van Noord, a transformation of a notorious jail to a living and recreational area. Interesting is also the history of the famous Dutch-American abstract expressionist Willem de Kooning, who was born in the Oude Noorden in the Zaagmolenstraat and stayed here till 1926 when he moved to New York. In September 2015 the oil painting ‘Interchange’ of the Kooning was sold for an astronomical amount of $300 million. In this tour we will also visit the hotspot Hofbogen in the adjacent Agniesebuurt (a former 2 kilometer railway viaduct built in the northern part of Rotterdam in the early 20th century) that contains many interesting small business, shops, coffee bars and eateries. Groups can start at any moment of the day. We leave from the Noordplein. How do I pay the tour? If you signed definitively, we send you an invoice which can be paid by bank. What if I have special wishes for a tour? See also our custom tours. What if I don't receive a reaction?